Longtime beach volleyball sponsor, Corona, has come up with a new way to play the game -- whether you're at the beach or in your local bar. Unlike the real thing though, you have to have a Corona in hand to play the new 3D game. In order to download Corona Beach Volleyball your phone must detect a bottle of Corona nearby, according to Kotaku.com. 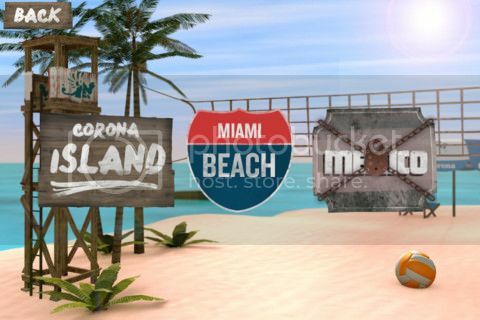 The free advergame available in the UK from Corona and development shop, Harmony Park, allows users to play a virtual game of volleyball, practice their skills or even find the nearest bar or store that carries Corona. "The most important element of this campaign is that we're working with Corona stockists and targeting consumers directly, making their shops and pubs the place to be," Simon Pick, senior brand manager for Corona tells MarketingMagazine.co.uk. Missing the beach, the sun and the sea? Well with a bottle of Corona and your iPhone or iPad, Corona Beach Volleyball can make anywhere into an idyllic holiday location. Take the time out to indulge in a game of beach volleyball wherever you are, whatever you’re doing and whoever you’re with. This app opens up the Corona world and makes absolutely anywhere the place to be. 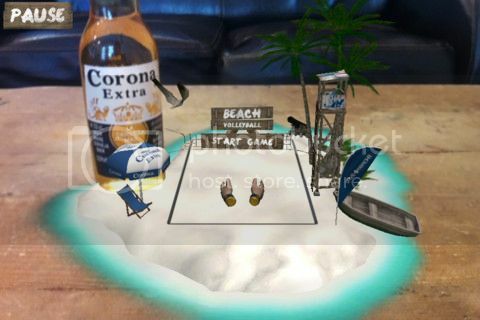 Using augmented reality technology powered by Obvious Engine, the application builds a volleyball court around a Corona bottle. There are 3 levels of increased difficulty – Corona Island, Miami & Mexico, and there’s also options for one and two player modes. All you need is the app, a bottle, and you're good to go. We've even got a Corona locator so you can find your nearest bottle wherever you are. So what are you waiting for, get playing!